Check out the recent Daily Record Article on Palmer Shonk, a senior geology major and bagpiper who led Wooster delegates into the All-America City competition in Tampa, FL. Way to go, Palmer! We have beautiful weather again here in Montana. The CUR meeting is moving along swiftly and we’re all working hard to accomplish as much as possible in the short time that we have. Some committees managed to take advantage of the warmth and sunshine this afternoon by holding their discussions on the lawn. Fortunately, mine was one of them! 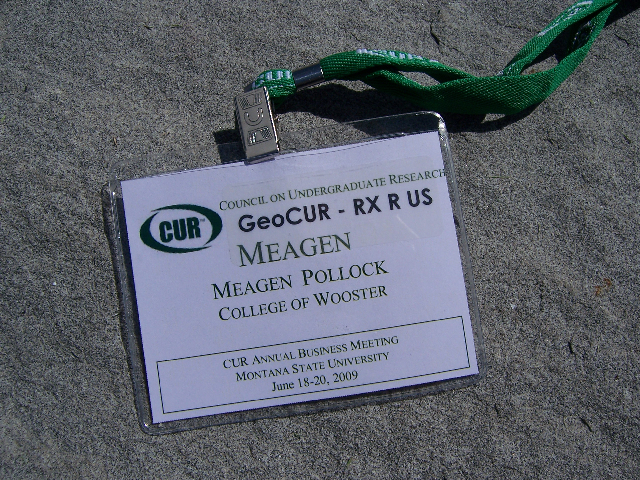 Soon, we’ll head back indoors to vote on issues like the merger of CUR with NCUR (National Conference on Undergraduate Research). I bet you thought they were one in the same, didn’t you? Well, they may be soon! Until then, I’ll be reading about the most influential leaders in undergraduate research (as the newest member of the CUR Fellows Committee) and enjoying the sweet, fresh Montana air. 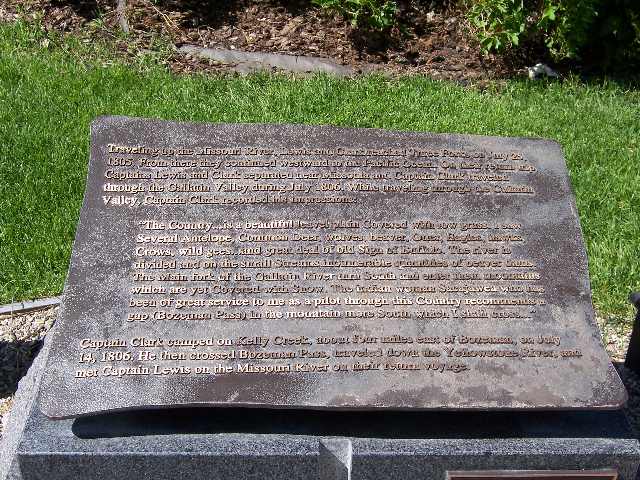 A plaque detailing the expedition of Lewis and Clark. 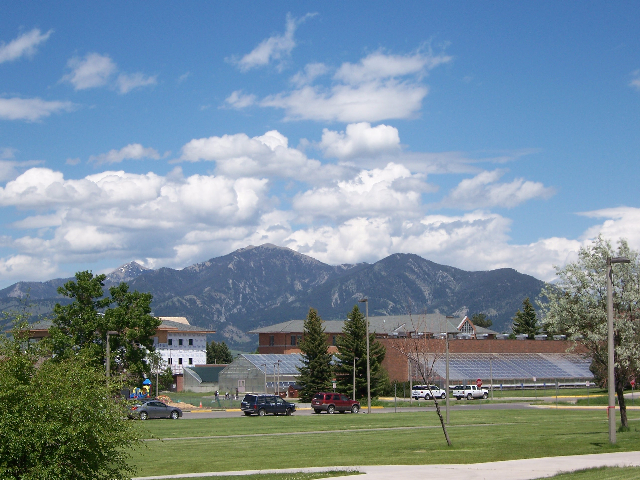 View of Baldy Mountain from my dorm (sigh). Promoting undergraduate research doesn’t always mean that we’re trekking across some exotic landscape sampling rocks with our students. Sometimes, it means tackling difficult issues through in-depth conversations with faculty who mentor undergraduate researchers in a variety of settings. That’s why I’m here in Bozeman, MT. 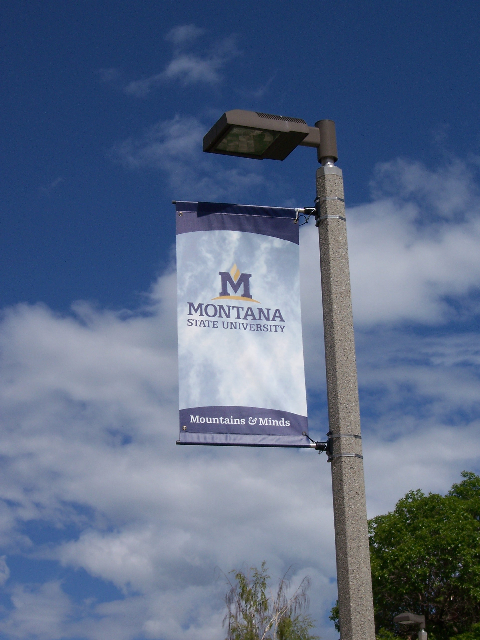 I’m on the campus of Montana State University at the Council on Undergraduate Research (CUR) business meeting. Even the gorgeous weather didn’t distract us from setting an ambitious agenda. We’re going to spend all day tomorrow talking about issues that impact undergraduate research, such as how to advocate for funding, how to convey the benefits of undergraduate research to a broader audience (e.g., policy makers, administrators, institutions), and how best to address the needs of the geoscience research community. CUR’s mission is to support and promote high-quality undergraduate student-faculty collaborative research and scholarship. Undergraduate research is rapidly becoming main-stream pedagogy, and it’s thrilling to be a member of the organization that is paving the way.